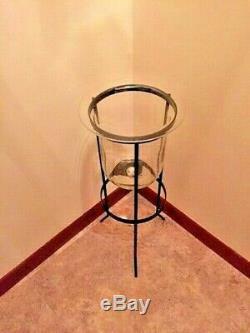 HARD-TO-FIND PARTYLITE SEVILLE 3-WICK WROUGHT IRON CANDLE STAND HOLDER w/GLASS INSERT & PARTIALLY USED CANDLE. Glass Insert is 10 1/4" top diameter x 10 1/2" tall. Candle is burned down a little but you can see by the pictures what it looks like with and without the candle in it. 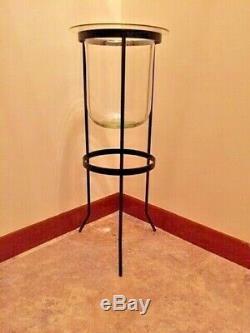 STAND & GLASS IN EXCELLENT CONDITION and comes from a smoke free and pet free home. If you would like to add me to your favorites list. 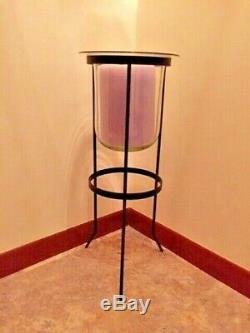 The item "PARTYLITE Seville 3-Wick Glass CANDLE HOLDER & Original Wrought Iron Floor Stand" is in sale since Tuesday, February 12, 2019. This item is in the category "Collectibles\Decorative Collectibles\Decorative Collectible Brands\PartyLite\Candle Holders". 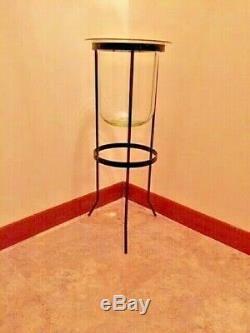 The seller is "harmony2012" and is located in Cleveland, Ohio. This item can't be shipped, the buyer must pick up the item.